Upland held it's offical launch on Friday 5th February 2016. 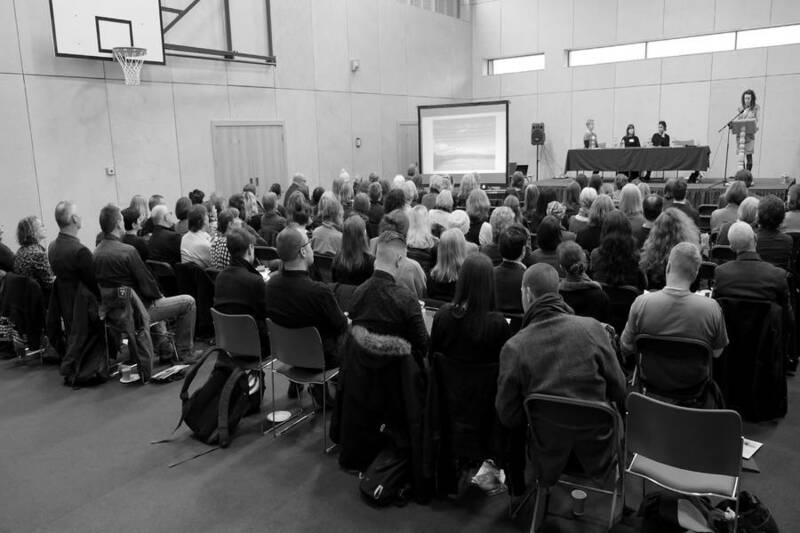 'We Are Upland' was a one-day symposium which brought together artists and makers from across the region along with a variety of speakers from all across Scotland. Upland was thrilled to host it's launch event at Dumfries & Galloway College on Friday 5th February 2016. The one day 'We Are Upland' Symposium had a varied programme bringing together professional artists, makers and designers. Artistic and creative professionals from Dundee, Skye, Glasgow, Edinburgh, Argyll & Bute and Dumfries & Galloway working nationally and internationally in some of Scotland's most inspiring and forward thinking arts organisations and collectives contributed their ideas and thoughts around the power of networks, the exchange of knowledge and what it means to be part of a creative community in 2016. Speaking at the event were: Kirsty Whiten (visual artist), Jasleen Kaur (visual artist / designer), Alexia Holt (Cove Park), Sarah Drummond (SNOOK design company & CycleHack), Gillian Easson (Creative Dundee), Matt Baker (The Stove Network), Richard Clifford (MAKLab), Emma Nicolson (ATLAS Arts), Frances Priest (artist / designer), Bea Last (visual artist), Amy Winstanley (visual artist), Sharon Ogilvie (Third Sector, Timebanking) & MAKLab. We Are Upland Symposium from Upland on Vimeo.